Orlando family law attorney N. Diane Holmes lists the top three reasons why collaborative divorce is beneficial. Since the collaborative law process involves interest-based negotiation, this allows folks to explore and implement creative solutions tailored to their family’s needs. No. 3: Collaborative divorce is not mediation. “The collaborative team made up of the couple, their respective attorneys, a neutral mental health and a neutral financial professional work closely together to reach a resolution without using any part of the judicial process to make decisions for the family,” concluded Holmes. 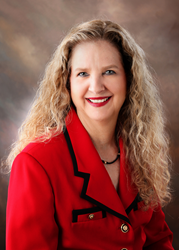 N. Diane Holmes has been practicing family law in Central Florida for more than 37 years. She is board certified in marital and family law, and holds the impressive distinction as the first woman lawyer in Central Florida who has earned the designation as a Fellow of the American Academy of Matrimonial Lawyers. Practice areas of N. Diane Holmes, P.A. include divorce, alimony, pre- and post-nuptial agreements, child custody, child support, paternity and paternity testing, name change, time-sharing schedules, parenting plans, and more. For more information, please call (407) 843-1744, or visit http://www.ndhpa.com. The law office is located at 3101 Maguire Blvd., Suite 100, Orlando, FL 32803.